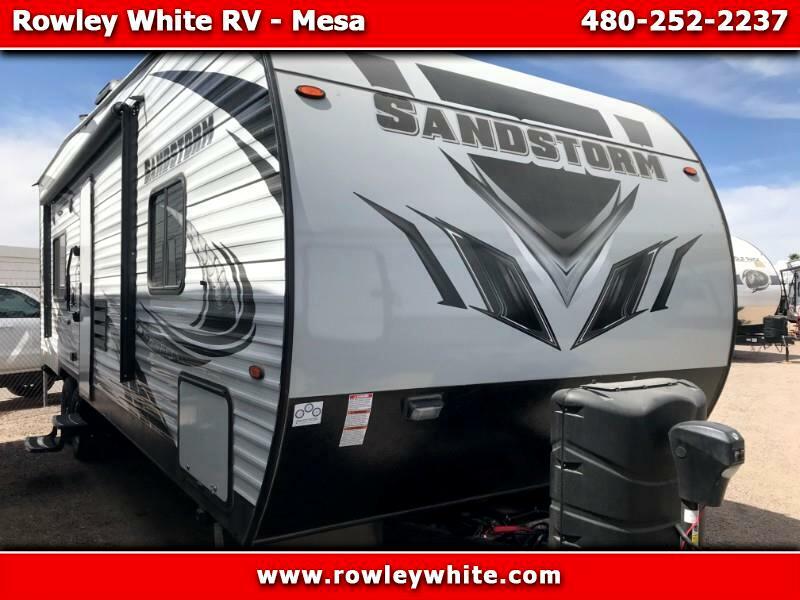 2019 Forest River Sandstorm T251SLC Toy Hauler with Generator! NEW 2019 Sandstorm T251SLC Toy Hauler by Forest River! There is 10’ of cargo space to the first cabinet and 14’ on the other side! With 78 inches under the bunks!